Posters have always been used as interior decoration items and we have all seen them displayed proudly in cafes, restaurants, hairdressing salons, art galleries and other private and public places. Vintage posters are full of humour, colour, meaning and style, featuring wonderful characters. I have taken the old pop art Italian, French and English posters and added my creative twist to them! Enjoy! Spinach of Popeye or Italiano Pasta? You decide! Old Tin Tin and umbrellas! Fromages from France- what can be better? Don’t forget to pay attention to posters around you! You never know what will catch you eye and make you smile! Happy New year 2014 everyone! New year, new beginnings… Well, in the first few days of this year, I found myself reflecting on the past and re-visiting some of my previous creations. After a while I see them with fresh eyes and I feel proud of what I have done. Please check out my previous youtube posts, they are interesting and entertaining. In 2014 I hope to be even more creative and enjoy blogging for you! Have a successful and prosperous year! Check out this cute Etsy Shop! I am a big fan of anything creative and handmade, interesting and original! You can find the coolest and cutest Cards at this Etsy shop! Christmas is coming and soon will be here! Surprise your loved ones with original card this festive season! I feel passionate about telling you about beautiful and quirky greeting cards that are created by Graceful Avenue. The cards feature hand drawn Panda bears and make a great present for everyone you know and especially for those who love Giant Pandas. Pozible website lets people raise funds for their projects. Graceful Avenue has a goal of printing the cards professionally and this is the reason for their plea. If you can assist, you will be rewarded with original handmade items. Enjoy and thank you for your kindness. I am so impressed with creativity that some bloggers display. I came across these absolutely awesome handmade greeting cards, notepads, small cases, flowers, vases and other fantastic gifts, created by Graceful Avenue. You can order online or if you are in the UK, you can pop into the lovely-looking shop. 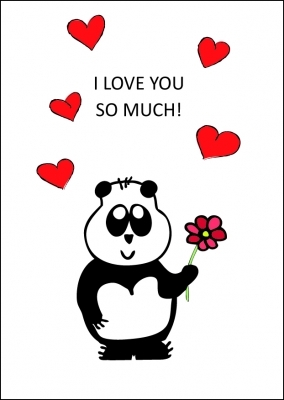 A new range of Panda cards has just been launched and Mishkas are so cute and cuddly! 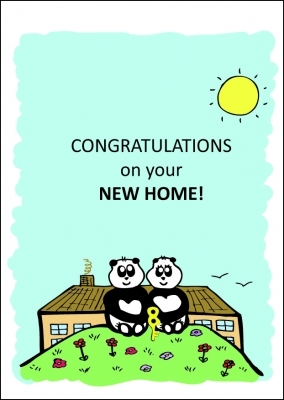 Graceful Avenue card- Mishka panda range. 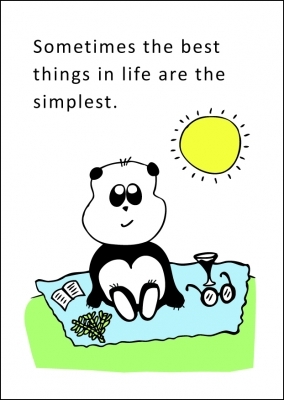 The Simple Life, courtesy of Graceful Avenue. Copyright Graceful Avenue 2013. Graceful Avenue panda Mishka range card. I Love You card, courtesy of Graceful Avenue. Copyright 2013 Graceful Avenue. Check out this online store and surprise panda lovers today!